CNWP officers met in London on Monday July 20th to assess the campaign's support for the trade union based Euro-sceptic No2EU electoral coalition and to plan the next moves for the CNWP itself. "The Campaign welcomed the close working arrangements developed by the RMT with the Socialist Party, the Communist Party of Britain and others during the Euro Elections, and looks forward to that coalition work developing and deepening between now and the General Election. We always knew the process for establishing a new working class party, if done seriously, would take time. Whilst we have a sense of urgency and hope there will be a substantial number of independent working class candidates at the next election, which will be at most nine or ten months away (or perhaps even sooner), such is the importance of the political rebuilding work we are engaged in then, then it�s better it�s done well than just quickly. The CNWP is planning to produce tens of thousands of new leaflets in coming weeks, arguing that trades unionists should stand independently of the 3 main parties in the coming election. Our demand that trade unions should reassess their financial support for New Labour and break that link is proving evermore popular, for example amongst CWU members at a recent postal rally in London. We are planning a major initiative around the TUC conference in September. We are confident that there is a real desire amongst wider layers of working people for a political voice they can trust. We hope to help build that." 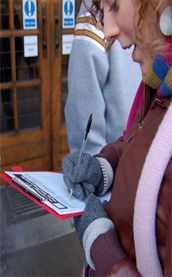 The CNWP has written to trade union bodies in towns and cities throughout the country in recent days, asking local Trades Union Councils to host discussions on the need for a new independent voice for working people, particularly after the election of 2 far-right MEPs from the British National Party at the Euro elections. So far meetings look likely in a number of cities, including Liverpool, Bolton, Wigan, Preston, Luton and Chorley. The CNWP believes that whichever party wins the General Election will seek to make severe, even savage, cuts in public spending, axing hundreds of thousands of jobs, cutting wages and threatening pensions, reducing essential local services and raising charges on many others. The campaign supports independent challenges, such as those by community groups in Barrow-in-Furness over education, and hopes to encourage new community and trade union candidates at local elections next year standing in defence of public services. "The CNWP is a growing force, especially within the trade union movement, sinking new points of support for socialist ideas through its work. I would urge more and more people to join us in the CNWP and contribute to its campaigns so we can re-establish an independent working class voice in politics", said Dave Nellist.